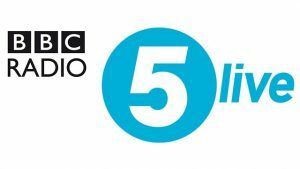 Our founder, Fiona Small, was interviewed today by Sean Farrington and Louise Cooper on BBC Radio 5’s ‘Wake Up To Money’ show. The show discussed a problem that will be familiar to many working families: how are mums supposed to work when childcare costs are so high? While local authorities are obliged to provide 30 hours free childcare a week, nurseries report that they aren’t being adequately funded, and many are finding themselves unable to cover their costs without charging parents extras – which of course makes life harder for lower-income dads and mums. 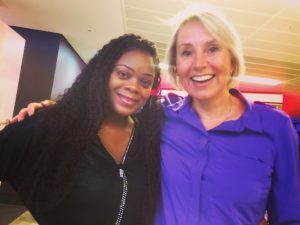 Fiona was joined in the interview by Jo Morris Golds, owner of two nurseries and spokesperson for the campaign group ‘Champagne Nurseries, Lemonade Funding’, which raises awareness that nurseries are expected to provide ‘champagne service’ on inadequate resources. Jo described the frustration that providers feel, wanting to do right by customers but being forced to ‘cross-subsidize’, including unwillingly charging parents, simply to keep afloat. Fiona observed that, ‘The incentive to go back to work is not actually there,’ because childcare costs are so high relative to wages, and not all employers are willing to offer ‘agile working hours’ that fit around parenting responsibilities. She further pointed out that while couples may be able to work together and pick up each others’ missing hours, single parents can face a near-impossible situation. A caller, Blaine, described how his partner was very eager to get back to work, but because the cost of childcare meant she’d had to be a stay-at-home mum, she was seen as having a weak CV and all she was currently able to get was zero-hours contract work. Fiona agreed that this was a familiar story, and said that when a woman feels, ‘All I’m doing is being a mum, I need a life too,’ it can have a negative impact on her wellbeing. Fiona stressed that motherhood should be considered a career that teaches multiple transferrable skills, and that it was important to recognise that mums are often more capable than they believe. Jo added that companies are starting to recognise that mothers have a lot to offer, although she acknowledged that the reality is that school holiday cover is something that our current business structures often don’t make room for – which of course puts mums at a disadvantage in many fields. Everyone agreed that the working world doesn’t make as much room for mothers as it could, and that this is a lost opportunity. This is very much the message YMSN has been promoting in our Ready Steady Work program: we’ve met many women who see themselves as under-skilled because they’re ‘just mums’, but talk to them for a while and it becomes obvious that, precisely because they’re mums, their organisational skills, work ethic, patience, productivity and practicality are second to none. Let’s hope that in the future, more employers recognise how valuable mums can be! For those who’d like to support us, we’re currently holding a crowdfunder that will, among other things, expand our Ready Steady Work program to reach more mums and help them back into work. Please don’t be shy if you can only afford a small donation – even a pound or two helps! To listen to the complete interview, go here; for those who want to go directly to it, Fiona’s section begins 35 minutes in.